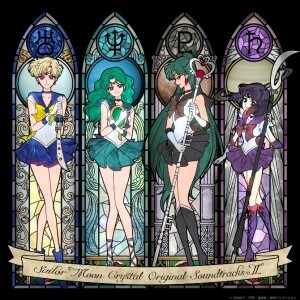 The second full Sailor Moon Crystal soundtrack was released on July 27th in Japan. This features music which is mostly from the Infinity arc of Sailor Moon Crystal, referred to as Season III in Japan. This is a 2 CD set which is mostly instrumental music though TV sized versions of the season’s opening and closing themes are also included. 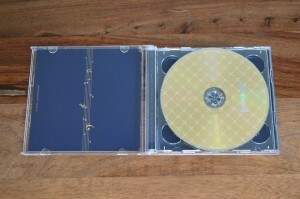 The CD can be purchased online through sites like Amazon Japan for 3,240 yen, which is about $32 US. 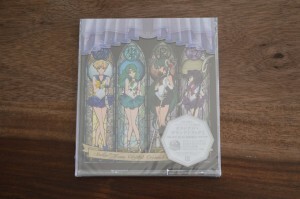 This may seem expensive for a CD soundtrack but this is a pretty standard price in Japan. The first soundtrack was released on iTunes for only $18. No indication yet as to if and when this might happen for this release. The packaging looks great. As with the last release we have a stained glass window style art piece. 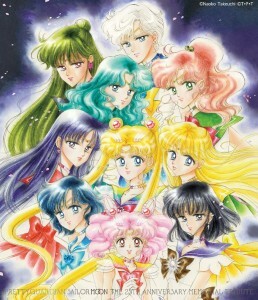 This one features Sailor Uranus, Neptune, Pluto and Saturn, four of the central characters of the season. 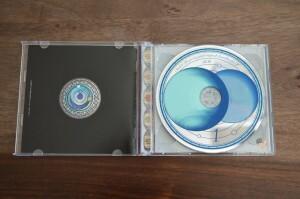 The discs themselves feature images of their guardian planets. 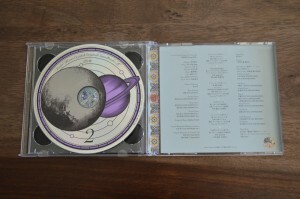 Disc 1 shows what I deduce must be Uranus and Neptune and disc 2 shows Pluto and Saturn. 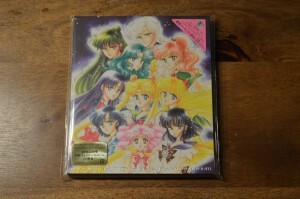 Note of course that since the early 90s when the Sailor Guardians were originally created Pluto is no longer a planet so it’s really a planet and a dwarf planet on the second disc. 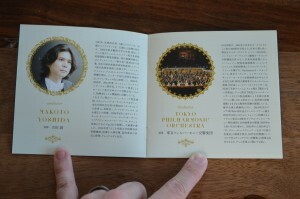 Included is a short booklet which appears to have a track listing and some interviews. Have I mentioned I don’t speak Japanese? That means I also don’t read Japanese. Looks nice enough! I’ve included photos below for anyone who can read that. 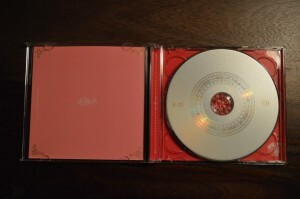 The CDs themselves contain music you’ve likely already heard in the series. While it is advertised as music from “Season III” that does not mean that this is only new music. 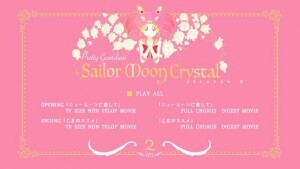 A lot of the tracks seem to be repeats of music we’ve heard before in the first 26 episodes of Sailor Moon Crystal and thus would have already been released in the first Sailor Moon Crystal Original Soundtracks. 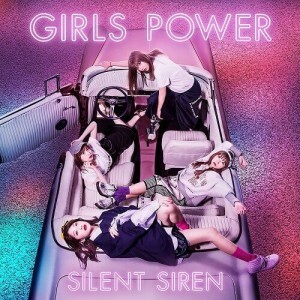 There’s still a lot of new music, mostly that related to the new characters such as Haruka, Michiru, Setsuna and Hotaru as well as their super powered counterparts and the villains the Death Busters and Witches 5. Yasuharu Takanashi has been the music composer for the entire series so the new music sounds like the old music. The music in this series is great, as it has always been. I feel that the animation this season was a vast improvement and the solid soundtrack complements it nicely. The TV sized versions of the opening and closing themes are a nice addition. 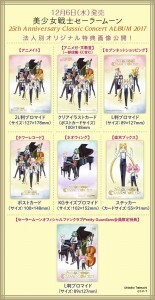 This includes three versions of the new opening theme In Love With the New Moon and the three ending themes. 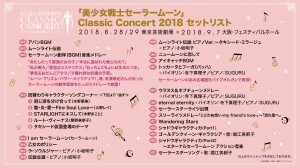 The first, Eternal Eternity, is sung by the voices of Sailor Uranus and Sailor Neptune, Junko Minagawa and Sayaka Ohara. 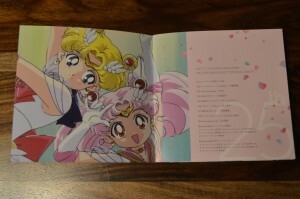 The second is Maiden’s Advice, sung by Misato Fukuen, the voice of Chibiusa. The third is Only Eternity Brings the Two Together, sung by Kenji Nojima, the voice of Tuxedo Mask. We’ve already gotten full length versions of all of these in the individual CD singles so these are not repeated on this release. I would recommend fans pick up this release if they have the means and interest to import it. It’s a good way to support the show and these kinds of releases. If it comes out on iTunes later that would be a good alternative way to purchase it, avoiding import costs and having a generally lower price tag. If you just don’t want to pay for it I’m sure you can find it online somewhere. Keep reading for more pictures of the packaging including photos of all pages of the included booklet. 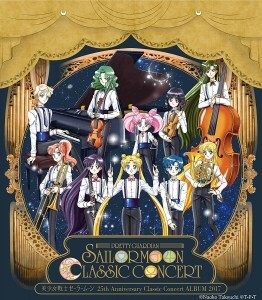 A second Sailor Moon Crystal soundtrack will be released in Japan on July 27th. 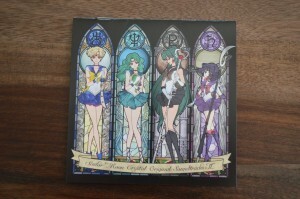 This 2 CD soundtrack is called “Sailor Moon Crystal Official Soundtracks II”. Why the plural in soundtracks? I don’t know. A sound track refers to the track on a film which includes the music as opposed to dialogue and sound effects. What we call a soundtrack was once referred to as the music from the sound track of a movie. In that sense we really are just referring to the one track but we also talk about tracks on a CD which is a totally different thing. None of these things are actual tracks. 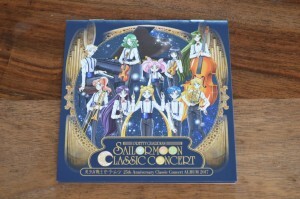 There’s no 8 track or record or even a film real medium to Sailor Moon Crystal. A track is just a concept we use to refer to something which exists as computer files on hard drives and CDs. We don’t really mean the sound track of a movie when we say Soundtrack anymore. Anyway I’m ranting. I’ll give them a pass for being really Japanese. 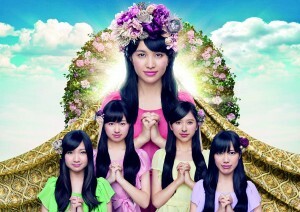 You can pre-order the CD from online retailers such as Amazon Japan and CD Japan for as little as 3000 yen, about $30. This is more than the singles we’ve seen before because this is a full 2 CD set with background music from the entire season. Also included are TV sized versions of all of the opening and ending themes heard in the Infinity arc. 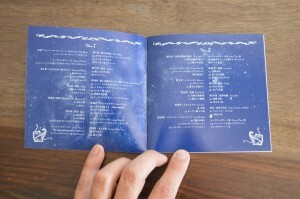 A track listing is on the Sailor Moon official site. Here’s an English track listing I got through Google Translate with some help from a translation by Miss Dream! 11. Ripples on the Heart? 12. Man or woman, is that so important? 14. Uranus and Neptune Make-Up! 19. Moon Cosmic Power Make-Up! 23. Moon Spiral Heart Attack! 12. Rainbow Moon Heart Ache! 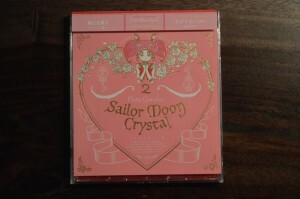 The second of three CD singles with theme songs for Sailor Moon Crystal Season III was released on Wednesday May 25th. 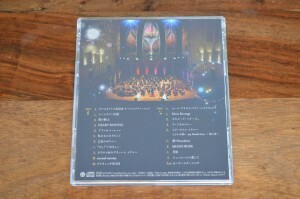 You can order it along with the first CD from Amazon Japan. 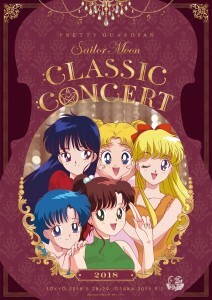 It features the second version of the opening theme, In Love With the New Moon, this time sung by Mitsuko Horie, the voice of Sailor Galaxia from the original Sailor Moon anime. 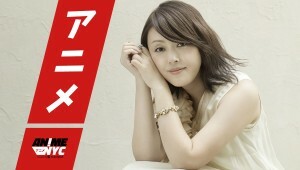 The new ending theme is Maiden’s Advice by Misato Fukuen, the voice of Chibiusa. This is a CD/DVD combo. 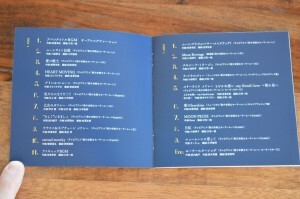 The CD includes the second opening and ending in full length versions as well as karaoke versions. The DVD includes music videos for both songs. This includes shorter TV sized openings and full length versions. 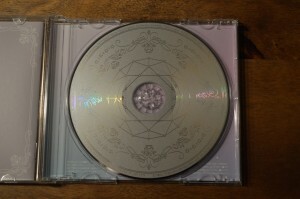 The CD is not very expensive, about $13 US plus a bunch of shipping, and I would suggest picking it up to support the show though if you’re feeling cheap I’m sure you can find it somewhere. The packaging is nice, as with the first disc. 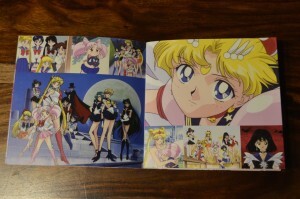 It comes with an insert with the lyrics and an ad for the Blu-Ray. 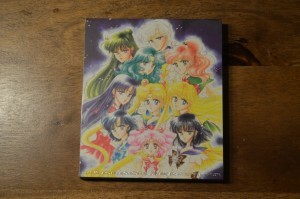 The back of the case features Sailor Saturn, Sailor Moon, Sailor Chibi Moon and Sailor Jupiter. 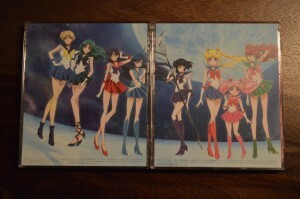 This seems like an odd grouping until you see the back of Sailor Mars’s hair on the side. 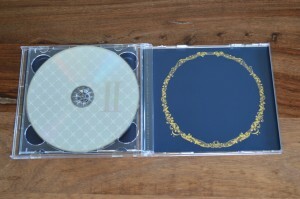 This fits together with the back of the first CD and no doubt the third CD will fit on the right. What can I say about these songs? I didn’t care as much for this version of In Love With the New Moon as I did the first one. It’s enjoyable just not quite as catchy. The ending theme speaks for itself. Maiden’s Advice embodies everything that is Chibiusa. I feel like I’ll get cavities listening to it! The DVD features are nothing spectacular. The TV sized opening and endings are pretty much exactly what we see in the episodes only without credits and in lower resolution. 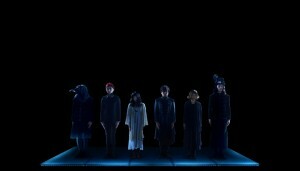 The music videos accompanying the full length versions are nice enough. They both features footages of the episodes which we’ve seen to date, right up the end of the latest episode, Act 33. 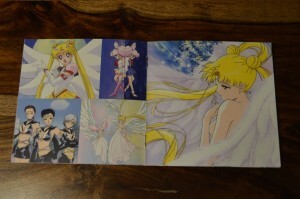 The In Love With the New Moon video shows clips from the entire series, focusing a lot on Usagi’s relationship with Haruka. 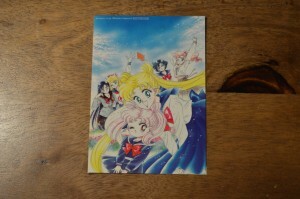 The video for Maiden’s Advice is all about Chibiusa! It’s just like you’d expect. 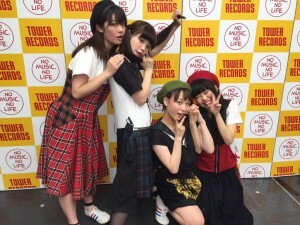 The final CD will be released on June 22nd. You can pre-order it from Amazon Japan. 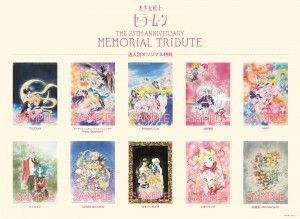 The listing shows an image of Momoiro Clover Z though I imagine the art will be consistent with the other releases and perhaps showcase Tuxedo Mask on the cover. 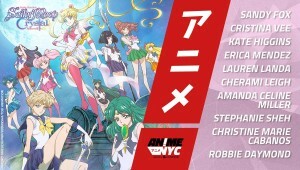 This will once again feature the opening theme, In Love With the New Moon, but this time sung by Momoiro Clover Z, the band who performed Moon Pride during the first two story arcs. The new ending theme, Only Eternity Brings the Two Together, will be sung by Kenji Nojima, the voice of Tuxedo Mask. I believe based on the timing of other themes that this new opening and ending theme will be featured during Act 34 which will be available on Monday May 30th. 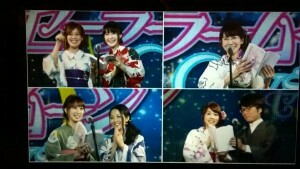 If not, they will almost certainly be featured during Act 35.